Gamers recently queued late into the night across the UK to get their copy of probably the most anticipated game of 2014, “Titanfall”. Exclusive to Xbox, the game is expected to break Xbox One sales records and be one of the best-selling titles this year. To celebrate the launch, free runners dressed as Pilot characters from the game performed stunts for London commuters along Millennium Bridge and the South Bank, emulating the abilities of players in the game. On Thursday evening The Boiler House at the Old Truman Brewery was transformed into a scene from the game. Fans and celebrity attendees including Jonathan Ross, The Voice UK judge Ricky Wilson and Professor Green, played the next generation multiplayer game as parkour free-runners staged a series of stunts including wall running across the venue. 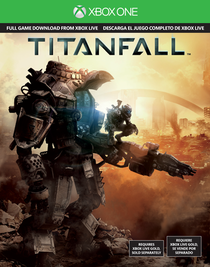 Titanfall is from Respawn Entertainment, a studio formed by Vince Zampella and Jason West, former co-founders of Infinity Ward and two of the co-creators of the multi-billion dollar franchise Call Of Duty™.